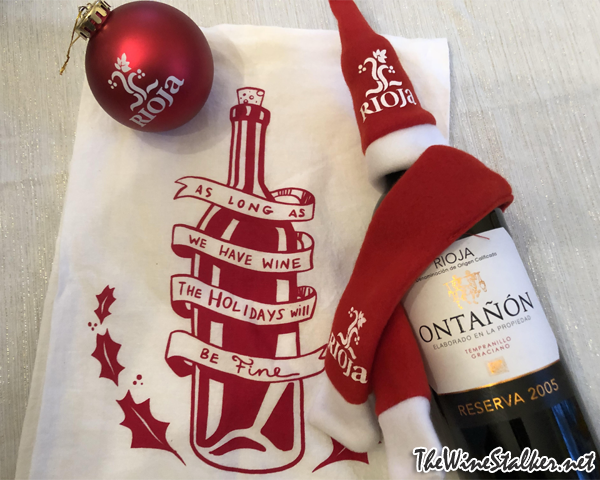 Pictured: Ornament, decorative towel, bottle Santa hat, bottle scarf, and Bodega Ontañón Rioja Reserva 2005. All courtesy of Rioja. The family owned Bodega Ontañón goes back five generations, but it wasn't until the 1980's that this family decided to not sell its grapes to wineries and instead start making their own wines. This decision was made by the current owners, Raquel, Rubén and María Pérez Cuevas. Located in Quel (within Rioja Baja), Bodega Ontañón has 250 hectares of vineyard land at high altitude in the Sierra Yerga Mountains. Their 2005 Reserva is 95% Tempranillo from the La Pasada vineyard that was planted in 1979, and 5% Graciano from the La Montesa vineyard. The Tempranillo was aged for one year in 60% American oak and 40% French oak, and after blending and bottling it's bottle aged for two years before release. Ontañón only produces a Reserva on outstanding vintages, and 2005 is the current release for their Reserva. It has an ABV of 13%. Well this is a very nice pre-Christmas moment. I'm sitting here nice and cozy with my bathrobe on, wearing some thick Wonder Woman winter socks (yeah, you read that right! ), watching some Bruins hockey, eating some goat milk gouda, and drinking some twelve year old wine. Nice. The color of the wine is a purplish red. There's aromas of cherries, vanilla, cocoa powder, and various spices. 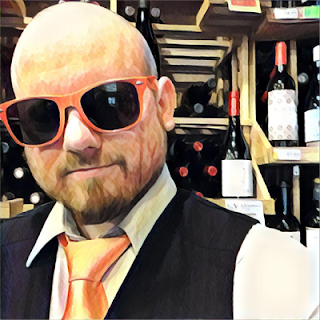 It's medium bodied and ridiculously smooth in mouthfeel, although the tannin does still have a little grip, and a very well balanced acidity. There's flavors of black cherries, plums, chocolate, tobacco, and leather. The wine closes out with a long lasting, very satisfying finish of black cherries and leather. It has elegance and charm. It has a laid back, relaxing personality. It's twelve years old and it could go another ten. It's only $24. It's freaking amazing for $24. It's without a doubt Highly Recommended.